Black Pepper, Blanc Poivre, Hu Jiao, Krishna, Kali Mirchi, Kosho, Marich, Maricha, Pepe, Pepper, Pepper Plant, Peppercorn, Pimenta, Piper, Piper nigrum,pjiknoi,Piperine, Poivre, Poivrier, Vellaja, pepenero, filfil, mericahitam, meritja, ladahitam, prikki tai. Dark Pepper originates from the dried, immature berries of piper nigrum. The profound brown to dark, wrinkled berries, when ground has a characteristic hot, extremely sharp and biting taste. It is a fixing that is found in practically every dishes. Dark pepper likewise has a remarkable ability to expand the aromas, tastes, and even therapeutic advantages of different flavours in a dish. In France is utilised as a part of their cream-based sauces. Black pepper can be added to any sort of sustenance: red meat, amusement, beans, lentils, poultry, fish, berries, apples, pears, soups, stews and cheese. Many dinners can be “rescued” basically by including decent measurements of dark pepper to it. Add to eggs, omelettes, mayonnaise and other cheese dishes. Add to biscuits blends for hot sweet taste. It is utilisedfor thepreparation of pepper sauce. Black pepper expands the hydrochloric aciddischarge in the stomach and facilitating digestion. Black pepper is added to tonics for coughs and colds. Pepper additionally gives help from nasal blockage and sinusitis. Pepper cures Vitiligo, which is a skin illness that causes a few ranges of skin to lose its typical pigmentation and turn white. Assists in the breakdown of fat cells. Helps to battle against insect bites and infections. Prevent or repair the harm caused by the free radicals and help anticipate malignancy. Black pepper helps in transporting the advantages of different herbs to various parts of thebody and maximisingthe proficiency. Reduce cognitive malfunction and cognitive malfunction. Black pepper has been utilised to treat tiredness and fatigue. 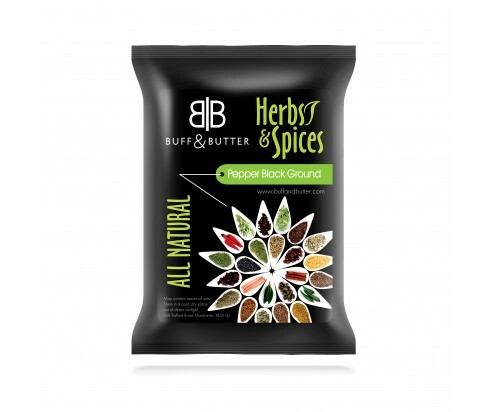 In ancient times, black pepper was viewed as the King of spices and it was more significant than gold. A tropical, perpetual climbing vine with elevated roots. The vine can develop to more than 10m yet is maintained kept up at around 4m. It has wide, lustrous, green leaves and bears thick spikes of white blooms containing 50 blooms each. Black pepper is native to Cambodia and South and East India.